Shopping for a new Lincoln Continental? We’re still waiting for a shot at the lower-level Continentals; perhaps a trip to the Avis counter will yield results. The 2018 Lincoln Continental is back to the future for the automaker. The throwback style is paired with a similarly throwback name, the first Lincoln to drop the three-letter designation. The Continental now means everything the MKS didn’t: big motor, big chrome, big wheels. 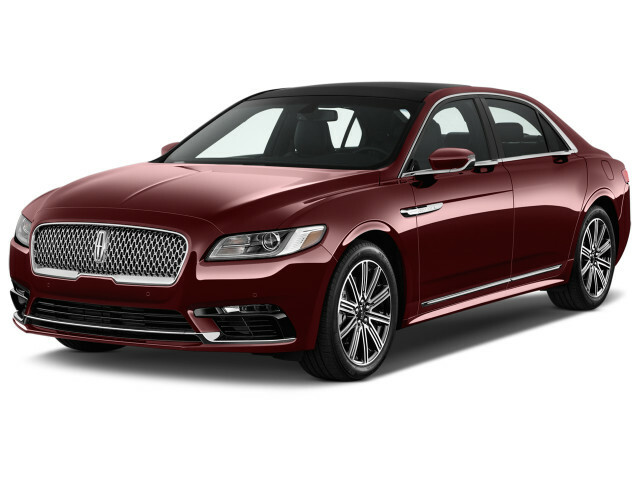 Sold as a Premiere, Select, Reserve, or as a Black Label, the 2018 Continental comes up a winner with the unexpected pairing of an opulent, oligarch-friendly cabin and taut, powerful performance. Among rivals with pedigree and without the Continental stands out. It’s reconstituted the age-old luxury appeal of a Lincoln with lots of chromey details and a formal roofline. That counterprogramming works for us: the shoulders are broad, the wheelbase is long, the shape is formal, the details are emphatic. The big mesh grille and high-mounted door handles are particular highlights on a shape that might come off far too reserved without them. No worries on the cabin, on that note. The Conti’s cabin has rich trim and lots of gloss and chrome, unmistakably on-brand. Lincoln sells the Continental with a choice of three V-6 engines: base, twin-turbo small-displacement, and twin-turbo slightly larger-displacement. Output rises to 400 hp on the top version, with all-wheel drive a needed upgrade over the stock front-drive configuration. We’d approve of more gears than the Continental’s 6-speed automatic provides. Most versions have adaptive steering and adaptive shocks. They give the Continental a driving feel akin to a longer MKZ, which it is. 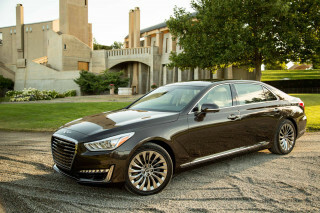 Brisk acceleration, taut ride, and nimble responses for its size distance the Continental from the rear-drive field of Genesis G90s and the like. With its ample wheelbase and overhangs, the Continental has lots of people space and trunk space. The cabin’s fitted with luxuries such as 30-way power seats and cooled chairs front and back, if you like. Head room is a bit scant, but 6-footers will find plenty of space. Both safety agencies give hearty thumbs-up to the Lincoln’s crash-test performance, but some advanced safety features only come bundled in expensive packages on the pricier models. Even with base prices below $50,000, a loaded Continental sticker balloons to more than $80,000; a price that seems reachy, even for a car with interior themes modeled on horse-country couture. Tradition is back in style, as far as the 2018 Lincoln Continental is concerned. Glints of glitz adorn the subdued shape of the latest Lincoln Continental. It comes off across every bit as traditional as an Andy Williams Christmas album. Study a Volvo, muse at a Mercedes. 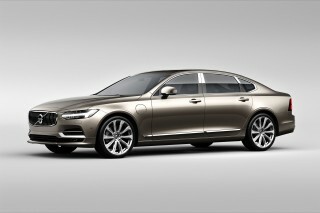 There’s much done there to push forward the design language of the modern sedan. On the 2018 Continental, every detail has been assembled to remind us of a past—a broad-shouldered, upwardly mobile past where swagger came in the form of chrome and size. In that way, this Continental is sensual and expressive. It taps a rich nostalgia those European brands have zero access to. That said, wipe off the metallic makeup, the fender vents, the mesh grille, and the achingly cool high-mount door handles, and the Continental’s nowhere near the high-water mark set by its 1961-1964 inspiration. The cockpit sticks the heritage landing, though some color combinations effectively neuter the glamour. Baser versions don’t have the popping color contrast of the high-buck models, though the black-screen gauges and artsy typefaces are common to all. Never mind those subtle differences, there’s nothing here as bleak as a base Caddy CT6. If opulence is back in vogue, the Continental Black Label is a Madonna cover. Highly grained wood trim is framed with brightly finished metallic trim; it’s as if Dearborn’s designers found a cache of the good stuff, locked in some time-machine vault since the early ‘60s. We’re fans of the Rhapsody look, but if you’re an oligarch and want the world to know it, go ahead, take the Chalet trim. No matter which you pick, the Continental is less a place for reflection than for reflectivity, what with all its glassy digital displays, glossy wood panels, and shiny metal flourishes. 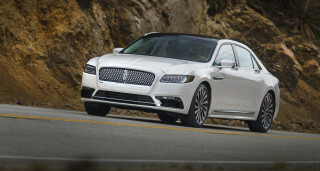 Firm damping and quick acceleration give the 2018 Continental an MKZ feel. The 2018 Lincoln Continental takes the shape of a classic cruiser, but its mechanicals tell a different story. Its performance envelope stretches into the sporty realm, thanks to a powerful range-topping engine and adaptive drive systems. Three engines show up on the Conti order sheet. The base 3.7-liter V-6 spins out 305 hp. A twin-turbo 2.7-liter V-6 pumps out 335 hp. A 6-speed automatic shuffles power to either the front or all four wheels. We’ve not driven those versions. We’ve spent all our time with the top-drawer Continental, the one with a new 3.0-liter twin-turbo V-6 engine with 400 hp and all-wheel drive. With its powerful rush of torque, it hustles to 60 mph in about six seconds, pinned only to the mat somewhat by the Continentals’ chunky curb weight of more than 4,200 pounds. The Conti’s transmission has push buttons, a throwback to another time. It also has just 6 forward speeds, another throwback. The transmission doesn’t always shift smoothly, and despite the presence of paddle shift controls (and a shift lever on Black Label models), it’s the piece we’d hit first if we ran the upgrade engineering team. With its tautly sprung and damped ride and quick steering, the Continental reveals its link to the mid-size Lincoln MKZ. Most versions have adaptive dampers that give it a range of ride responses, from mostly smooth to impressively firm. Badly maintained roads use up all the Continental’s patience, but the ride motions that pass into the cabin are muted. Despite its heft and long wheelbase, the Continental responds with lots of useful driving information. Ford's adaptive steering uses motor assist at the steering wheel to make parking-lot maneuvers a single-finger affair (not that one), while boost at speed feels about as natural as that on the MKZ and Fusion—good, according to our paws. On all-wheel-drive Black Label Continentals, the anti-lock brakes are used to clamp on the inside front wheel to tighten the cornering line. On most versions, drive modes let the Conti flip from Comfort to Sport. The shocks stiffen, steering feel adds weight, and shifts get more crisp. It’s short of salty, but the way the Continental talks back in Sport mode might have you checking the label on the decklid. The Continental’s back-seat space and adjustable chairs give it limo bona fides. Lincoln has wised up to its niche in the luxury car world. No need for sport-sedan bona fides: the 2018 Continental dolls up its sizable cabin with umpteen-way adjustable seats. On the spec sheet, the Continental checks in with a 117.9-inch wheelbase. It’s 201.4 inches long, and sports 109 cubic feet of interior space. 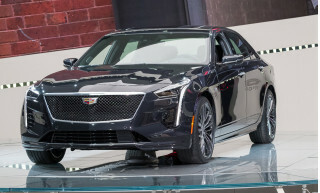 That makes it slightly shorter than a Cadillac CT6 or a Genesis G90, but 5.7 inches longer in wheelbase than the Lincoln MKZ on which it's based. The front seats owe nothing to yacht rock, though. 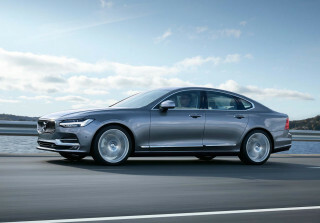 They’re sport-sedan firm, multi-adjustable, and can be upgraded for 30-way seats with heating and cooling. The shape of the top-line seats almost makes us feel sorry for those who can only afford the 24-way seats, though all Conti chairs we’ve tried have been amply supportive, especially at the leg and neck, where many modern car seats are overstuffed. With copious small-item storage between them, the front passengers have lots of knee and head room, too. The Continental’s long wheelbase translates into ample rear-seat space, too. The seats are less plush back there, though they can be cooled and heated (though Lincoln makes buyers spend extra for fold-down seats). 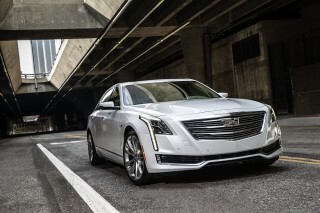 The space is better than Cadillac’s XTS, which we’re very familiar with from its Uber service. Head room isn’t spectacular, but 6-footers will be fine. Lest you feel left out in back, Lincoln also will fit those seats with recline and massage functions, and will shade passengers with roll-up screens or expose them to the sun through a twin-pane roof. Some interior trim combinations border on garish, but the Continental’s hushed interior and low-gloss luster work well with its traditional luxury bent. The 2018 Continental’s crash-test scores earn big points here, but we’d love to see more safety gear made standard and available. New for 2017, the Lincoln Continental now has been crash-tested by both major agencies. The IIHS gives the Continental its Top Safety Pick+ award. All crash test results were deemed “Good,” as were its headlights. The NHTSA gave the Continental five stars in every test. The Continental could have earned a perfect score here, but it omits some safety technology from many models. Forward-collision warnings and automatic emergency braking—soon to be mandatory—can only be had on Reserve and Black Label models. All models have a rearview camera, but surround-view cameras are bundled in an expensive package, and blind-spot monitors can’t even be had on the base Premiere trim. 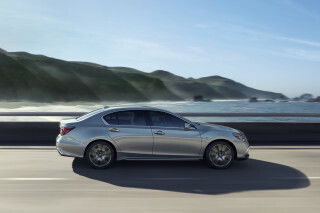 Outward vision is fine in this big sedan, though the nose drops low and out of view. Megawatt features like high-end audio and luxe trim set the 2018 Lincoln Continental apart from its family members. Lincoln understands the virtues of a fully loaded luxury sedan, one that needs to make up for some lost time. That’s why the Continental has an excellent list of standard equipment and optional features, a good infotainment system, and a range of interior trim choices. The Continental comes in Premiere, Select, Reserve, and Black Label trims. 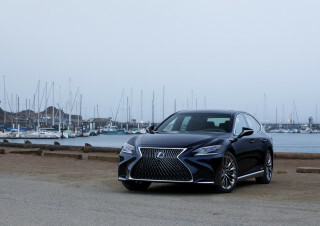 It sells various versions with different combinations of engines and front- or all-wheel drive, but the twin-turbo 3.0-liter V-6 comes only with all-wheel drive. Every Continental has power features, automatic climate control, cruise control, 10-way power front seats, a rearview camera, reverse parking sensors, wood trim, ambient lighting, keyless ignition, 18-inch wheels, and remote start. Base models have an AM/FM/XM audio system with 10 speakers, and an 8.0-inch touchscreen with Ford's new and much improved Sync3 infotainment interface, as well as synthetic leather upholstery. On Select versions, real leather supplants the fake stuff. Selects add a power trunklid, power door closers, rear-seat USB charging ports, active noise cancellation, adaptive shocks and steering, navigation, blind-spot monitors, and 19-inch wheels. Reserve editions have three-zone climate control, 13-speaker Revel audio, and 24-way power front seats with cooling. On Black Label Continentals, Lincoln adds a console-mounted shifter, an Alcantara headliner, a twin-panel sunroof, app-driven concierge service, a rear-seat armrest with climate controls and storage, fold-down rear seats, heated and cooled front seats, a hands-free trunk lid, a 19-speaker Revel Ultima sound system with HD Radio, 20-inch wheels, and a driving-mode system. 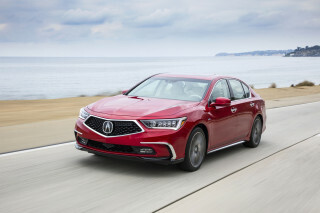 Options include bundles that offer surround-view cameras, heated rear seats, LED headlights, power-recline rear seats, a twin-pane sunroof, and 30-way power front seats. With every option, the Lincoln Continental’s price blasts past $80,000 affair, and plunges deeply into E-Class territory, approaching that of an S-Class. The 2018 Lincoln Continental doesn’t move the fuel-economy needle. Though the Continental has smaller-displacement engines than in its storied past, its gas mileage isn’t all that remarkable. The EPA says the front-drive, V-6 Continental earns fuel economy of 17 mpg city, 26 highway, 20 combined. With the even smaller but twin-turbocharged V-6, it’s rated at 18/27/21 mpg. All-wheel drive cuts into those numbers. Base AWD V-6 cars are pegged at 16/24/19 mpg. With the smaller twin-turbo V-6, the Conti is rated at 17/25/20 mpg. 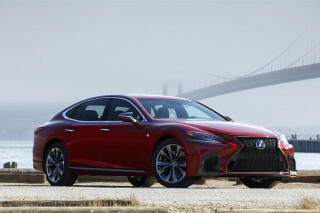 With the strongest twin-turbo 3.0-liter V-6, the EPA rates it at 16/24/19 mpg. Looking for a different year of the Lincoln Continental?